Jury member selection for the 2016 EU Human Rights Short Film Competition organized by the European Union Delegation to Turkey is now complete. Those judging this year’s crop of short films on human rights will include Director Yüksel Aksu, theatre and film actor Yelda Reynaud, journalist and author Kanat Atkaya, Kadir Has University Lecturer Prof. Dr. Sevda Alankuş and author and radio presenter/producer Yeşim Burul. Jury members will be responsible for picking the top three films out of the 10 features that make it to the final round. The competition, which is open to original short films on human rights by amateur and professional filmmakers, is still accepting entries. The winner of the competition will receive an HD camera and lens, while the second runner-up is awarded an HD camera. All entrants including the competition’s third runner-up will have the privilege of accredited attendance at the Oberhausen Short Film Festival. The competition will be accepting entries until 18:00 on Wednesday, 16 November 2016. The results of the competition will be announced during an Awards Ceremony in Ankara on Friday, 9 December 2016. An entry package containing all the necessary information for taking part in the competition can be downloaded HERE. You can click on THIS link to download the application form. Yüksel Aksu: Director, screenwriter and actor. Graduate of the Film and TV Department of the Faculty of Fine Arts at Dokuz Eylül University. Aksu undertook graduate studies at the same university. He has worked as a director on short films, documentaries and television series. He has received multiple local and international awards for his films Dondurmam Gaymak (2006), Entelköy Efeköy’e Karşı (2011) and İftarlık Gazoz (2016), which he produced, directed and wrote. Kanat Atkaya: Journalist, author. Born in Istanbul in 1969, Atkaya writes columns on culture and current political issues in the Hürriyet daily and its supplements. Atkaya, who also writes about sports, has appeared on a number of television programmes. 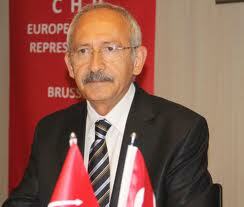 Atkaya, whose works include the fictional story books Topesto ve Riko’nun Maceraları and Köprüaltı ve Beyoğlu Hikayeleri has written extensively about the issue of human rights. Yelda Reynaud: Theater and film actor. Born in Vienna in 1972, Reynaud has lived in Germany, Egypt, the US and France. Reynaud studied theater in Paris for 6 years and has taken the stage in numerous theater productions. She later switched to film, starring in Yara, a joint production by Germany, Turkey and Sweden. Her role in this film won her the "Best Female Actor" award at the Antalya Golden Orange Film Festival. Reynaud, who has acted in many film and television roles, is also the holder of numerous international awards. Prof. Dr. Sevda Alankuş: Academic/Lecturer. A graduate of Ankara University’s Political Science and Public Administration Department, Alankuş later devoted her attention to the communication sciences. She worked as an academic researcher in the United States and Britain and drew acclaim for her work on "Criticisms and Concepts of Feminist Media", "Alternative Media", "Peace Journalism", and Theories on Democracy and Identity". Prof. Alankuş is currently serving as the Dean of Kadis Has University’s Department of Communication. Yeşim Burul..Author, radio producer, lecturer. She completed her undergraduate studies at the Psychology Department of Bosphorus University. She later undertook a graduate degree at the University of London’s Media and Communication Department. She served as a lecturer on film at Northwestern University, Bosphorus University and Kadir Has University and is currently teaching courses at Istanbul Bilgi University’s Film-TV and Media departments. Burul, who is on the writing team of the film journal Altyazı, also hosts the radio show "Cinephile" on Açık Radio since 1995.